Modern Easter ideas bring a contemporary flavor to the beautiful spring holiday, connecting generations and blending old traditions with creative new ideas. 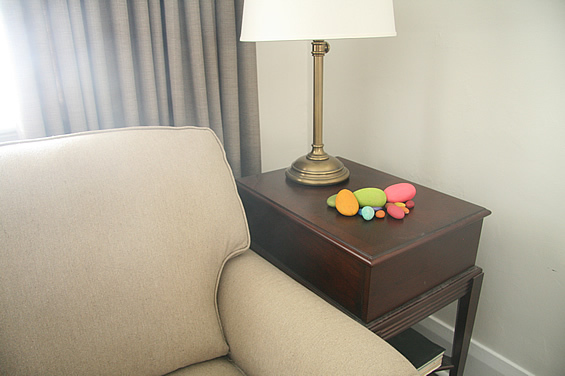 Painting beach rocks that look like eggs and making symbolic Easter decorations is a nice way to add bright spring colors to your home holiday decor. Easter decorating ideas that include colored ad painted racks look bright and cheerful. 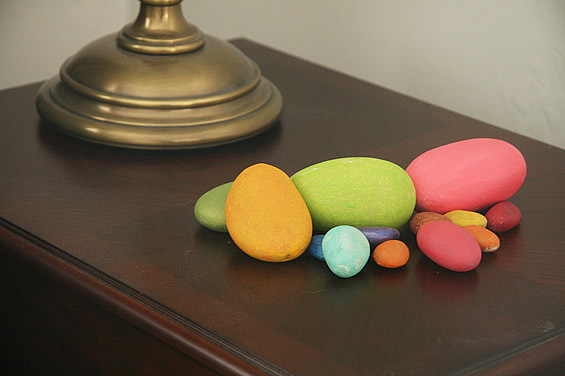 You can paint rocks solid colors or create images inspired by Easter decorating theme to make exclusive Easter decorations that can be used as special gifts also. Oval-shaped rocks are perfect material for creating symbolic Easter eggs in all rainbow colors or with Easter Bunny images. Rocks with hen, chickens, butterflies, flowers, green leaves or grass are excellent for Easter decoration and can be used for your garden decorating after the holiday. Today creative people push the boundaries of Easter decoration traditions, offering fresh ways to celebrate this spring holiday, life and new beginning. Colorful painting ideas and drawings on rocks offer great craft ideas for kids and adults that make spring decorating of your home and garden brighter and more optimistic. Oval-shaped rocks, beach pebbles and even ordinary rocks can be decorated with paint to beautify backyard designs in summer. 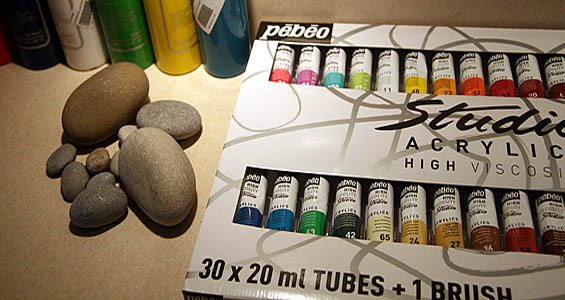 Acrylic paints or spray paint cans are all you need to add incredible colors to Easter decoration ideas and spring garden decor. Experiment and create with colors and patterns, funny characters and symbolic images that support spring and Easter decorating theme, sharing wonderful time with kids and having lots of fun while making special Easter decorations. One of modern Easter decoration ideas comes from Aubrey + Lindsay’s little HOUSE BLOG, aubreyandlindsay.blogspot.fr/ They collected some beach pebbles that look like eggs, washed rocks and decorated with paints, creating beautiful and meaningful Easter decorations. The beach rocks in various bright colors that symbolize Easter eggs are gorgeous handmade decorations that add the beauty of natural material and organic shapes to Easter decoration ideas. 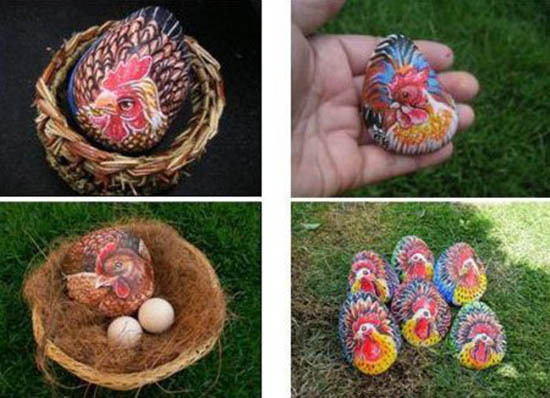 They make very special small gifts for Easter that your friends can use for their home or backyard decorating also. Panted rocks with spring images and characters inspired by Easter decorating theme are beautiful accents that make your home decor and backyard design more charming and interesting. Painted rocks, combined with green branches, spring flowers, nests and Easter figurines, can be used for designing traditional Easter table centerpieces or window decoration and creating beautiful porches and backyard designs.